With the increasing worldwide trend in population migration into urban centers, we are beginning to see the emergence of the kinds of mega-cities which were once the stuff of science fiction. It is clear to most urban planners and developers that accommodating the needs of the tens of millions of inhabitants of those megalopolises in an orderly and uninterrupted manner will require the seamless integration of and real-time monitoring and response services for public utilities and transportation systems. 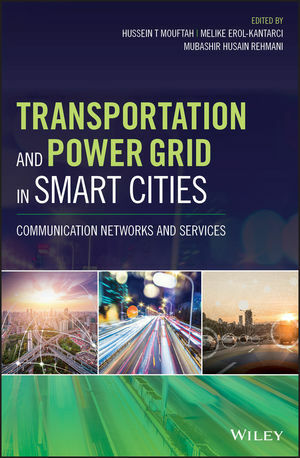 Part speculative look into the future of the world’s urban centers, part technical blueprint, this visionary book helps lay the groundwork for the communication networks and services on which tomorrow’s “smart cities” will run. Written by a uniquely well-qualified author team, this book provides detailed insights into the technical requirements for the wireless sensor and actuator networks required to make smart cities a reality. HUSSEIN T. MOUFTAH, PHD, is Canada Research Chair and Distinguished University Professor, School of Electrical Engineering and Computer Science, University of Ottawa, Canada. MELIKE EROL-KANTARCI, PHD, is Assistant Professor, School of Electrical Engineering and Computer Science, University of Ottawa, Canada. MUBASHIR HUSAIN REHMANI, PHD, is Assistant Professor, Department of Electrical Engineering, COMSATS Institute of Information Technology, Wah Cantt, Pakistan.